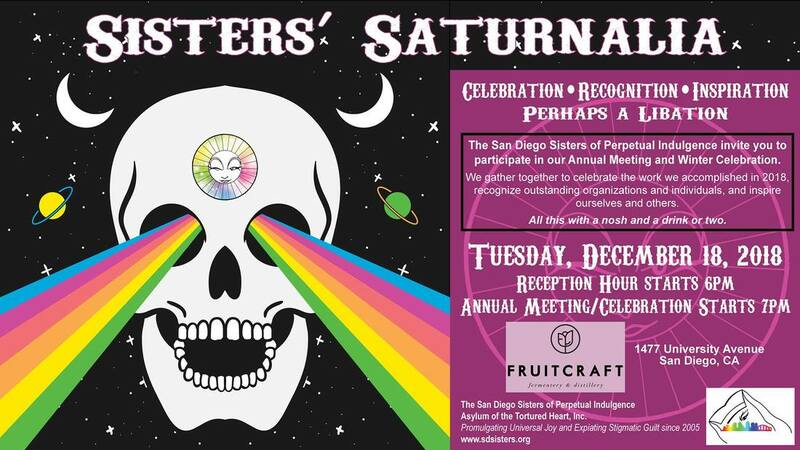 The San Diego Sisters of Perpetual Indulgence host their annual end-of-year public meeting where monies are granted to community non-profits and a year-in-review is presented. The fifth annual Purple Party happens October 14, 2018 at The Rail in San Diego, 5-9 pm. 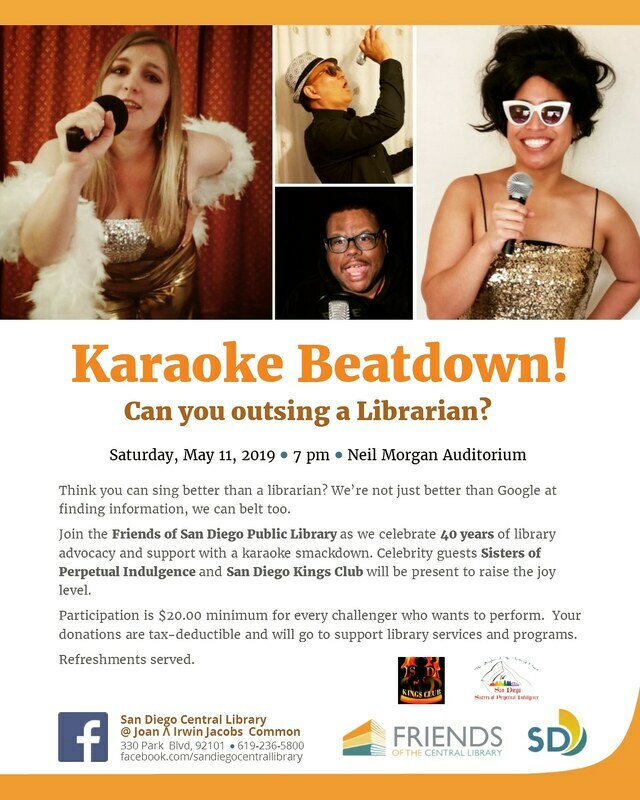 Admission is 10 dollars and goes to sending kids managing bladder and digestive issues to camp. 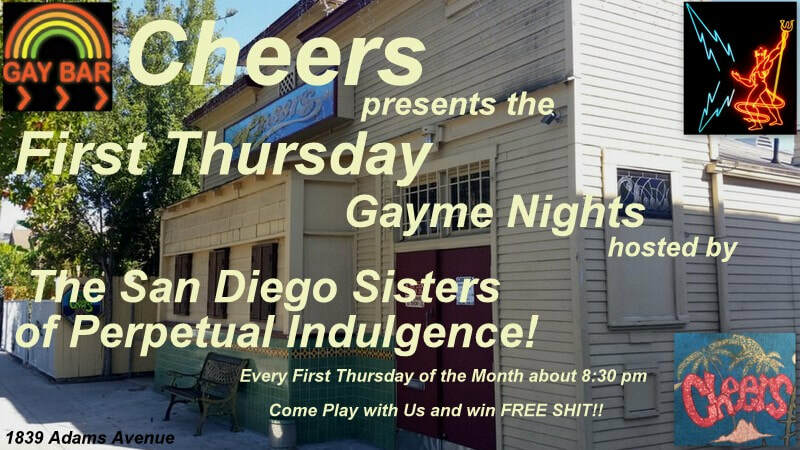 Cheers San Diego presents the monthly First Thursday Gayme Nights hosted by The San Diego Sisters of Perpetual Indulgence. Join The Sisters and Hosts Sister Bessie Mae Moo-Cho and Sister Donatella Soul for Gayme Night at Cheers on the first Thursday of every month at 8:00 pm. Every Memorial Day weekend Sunday The Sisters Guard Corps hosts a FUN-draiser barbeque at The Loft, 12-5 pm. Meat and Veggie options. 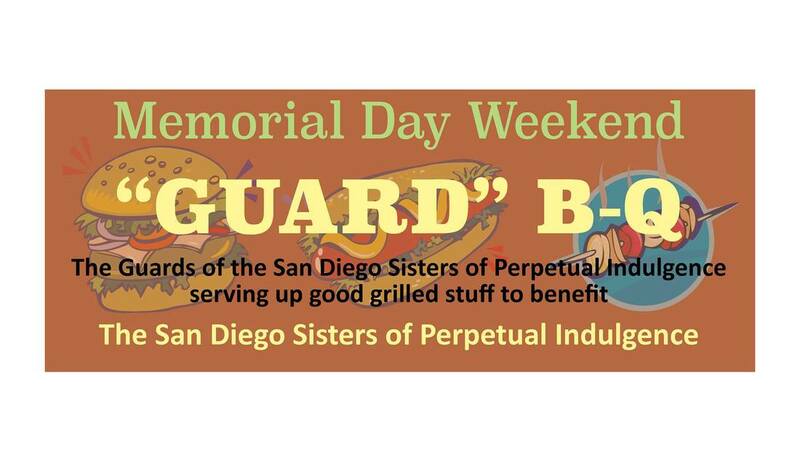 The Guard Corps of The San Diego Sisters of Perpetual Indulgence host an annual Memorial Day weekend Sunday barbeque FUNdraiser. Spring Thing, the annual Equinox celebration in Balboa Park hosted by The San Diego Sisters of Perpetual Indulgence. 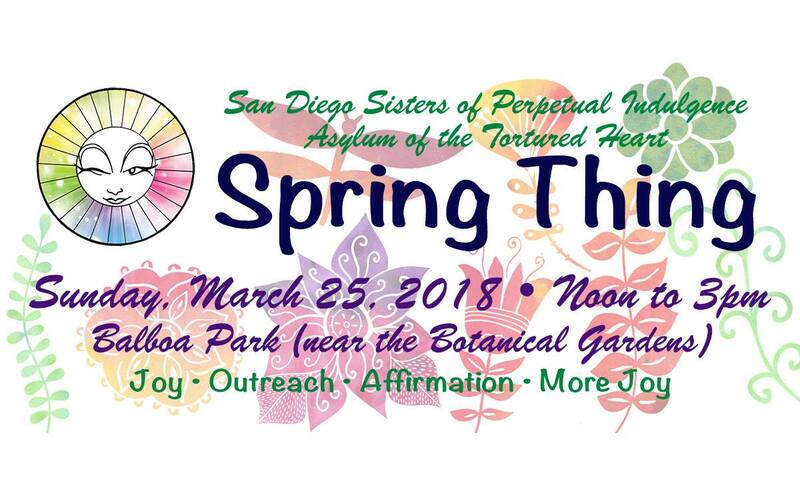 Each Spring The Sisters host an Equinox celebration in Balboa Park. You can watch a video from the 2018 festivities on our ​YouTube Channel.